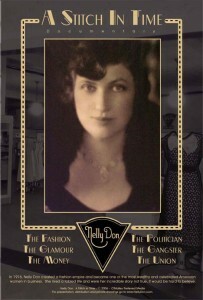 Nelly Don: A Stitch in Time (Documentary Film (94 minutes), includes three Nelly Don vintage fashion shows and an interview with the director) – The critically acclaimed documentary film that for the first time tells the true story of Nelly Don the woman and Nelly Don the celebrated line of dresses. 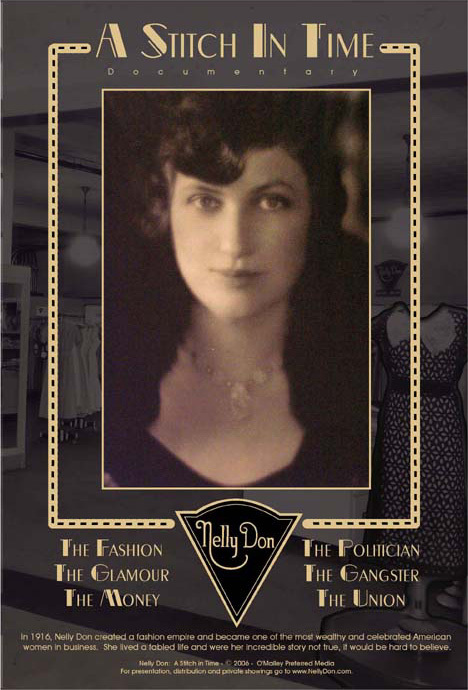 See and hear how Nell started her company and built it into a great American Empire making six-thousand dresses a day (more than 75 million dresses from 1916 to 1978). 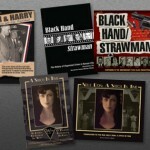 Learn how Nell was kidnapped and rescued by Kansas City gangsters. Find out about the “Fighting Senator from Missouri,” who captured Nell’s heart and defended her against unionism. Hear how Nell refused to be a war profiteer. Nell’s life is an amazing tale and until you see this film, you will not appreciate how great an American woman she truly was.